Buseok Temple was constructed in Bonghwang Mountains by Founder Priest Uisang under the order of the King. This region is well-known as where Uisang first founded his Hwaeom Sect of Buddhism. 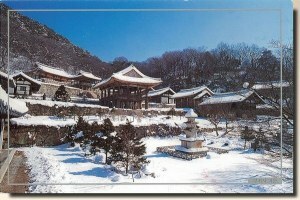 Muryangsu Building, which is the main building, is Korea's oldest and most well-structured wooden building.